Finding new job can be difficult. Even jobs that once only required that you fill out an application may now require a resume. I have met hairdressers, nurse’s aids and welders who have needed a resume. By requiring a resume, the hiring manager has fewer but more committed applicant to screen. Of course, those seeking professional positions need resumes that showcase their achievements and key skills. It is easy to get a professional looking template online or even from the applications that came with your computer’s word processing system. Looking good is easy but getting one’s experience on one or two pages that impress a prospective employee is not easy in a crowded, competitive market. 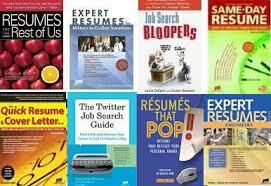 After trying it for themselves, many people will call a Resume Writer and pay to have the resume written. Resume writing is an easy field to enter. If you are curious about people, write reasonably well, able to do word processing, and proofreading, you can probably learn to write resumes. Start you training at the local library by borrowing some of their books. Pay attention to the copyright dates, as resume styles have changed dramatically in the last 20 years. Continue by looking at some of the books available at bookstores or on Amazon. There are plenty of example of resumes on line, but just because someone posts resumes online does not mean they are exemplary resumes. As a resume writer (it is one of my long-standing halfpreneurial ventures) I use the resumes on the web when I am writing a resume for a field with which I have little familiarity. Recently that included a child model and a veteran with 20 years of artillery experience seeking a position in construction or facilities maintenance. Resume writers can work from home. The basics for starting the business are a computer, laser printer, and telephone. A website and business listing in the phone book will contribute to your professional image. Very reasonably priced training is available from American Artists and Writers Inc. http://www.awaionline.com/resume/p/ for $99.00 and from http://resumebiz.com/# Teena Rose offers her book for $44.95. Both books will help you begin to write resumes and set up your business. Read and stay current. The NRWA offers a monthly newsletter and there are blogs and articles to follow online. 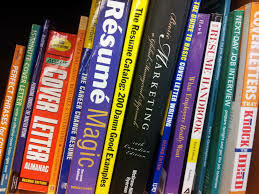 In addition to resume preparation, you can offer cover letters, Reference sheets, Bios, and resumes formatted for Applicant Tracking Systems (ATS) http://tinyurl.com/lddw2oh. You can branch out and offer interview coaching, job search coaching, and career coaching. No business is without pitfalls and for a resume writer income may not be reliable and your local market can have an effect on what you can charge. The advantages of resume writing include working from home, low start up costs, high income potential, and meeting interesting people. This entry was posted in small business ideas and tagged become a resume writer, cover letters, resume writers, resumes, training for resume writers. Bookmark the permalink.